The Epic of Gilgamesh and the NWO, Language and the Israel Project – ITEL 10.10.15 | Inside the Eye - Live! Inside the Eye – Live! for Saturday, Oct. 10, 2015, delved further into mythological constructions and the New World Order as well as highlighted language usage and the “Israel Project”. Updates on Syria and Israel closed out the show with “The Fetch” back and broadcasting live from Kharj, Saudi Arabia. The early part of the show discussed a generally unknown tale in the West. Known as “The Epic of Gilgamesh”, the tale details the story of Utnapishtim who is warned of an oncoming Flood and builds an ark and escapes the wrath of the deluge. However, unlike the Jewish tale of Noah, wherein there is only “one god”, the Epic of Gilgamesh shows a pantheon of “gods” within which, Enlil, the god of the Jews, is the one who destroyed planet Earth by bringing on the Flood. Of course, you can throw in the added lunacy that is only Jews who are able to interpret and define for all of humanity just what these laws really are. One this point, Jews have determined that “the 7 Laws of Noahide” are these laws and hence all humanity is a slave or servant to Jews. That is all a simplification, but not much of one. The show spends time weaving in and out of these tales. 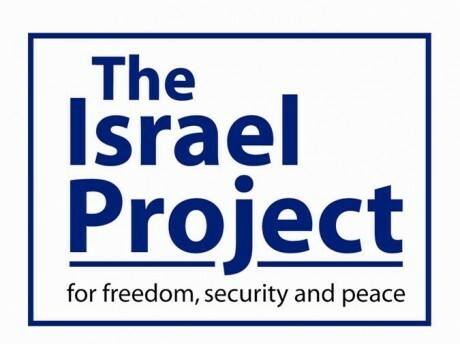 The show further discussed the usage of language as part of “The Israel Project”. In this regard, Jewish control of media helps to define (corrupt) how words are being used as well as mislead and otherwise obfuscate reality in order to enable the Jewish people to continue with their consolidation and expropriation of land from indigenous Palestinians. The show also included further updates on Syria and Israel.